Nuove foto spia sotto la neve. 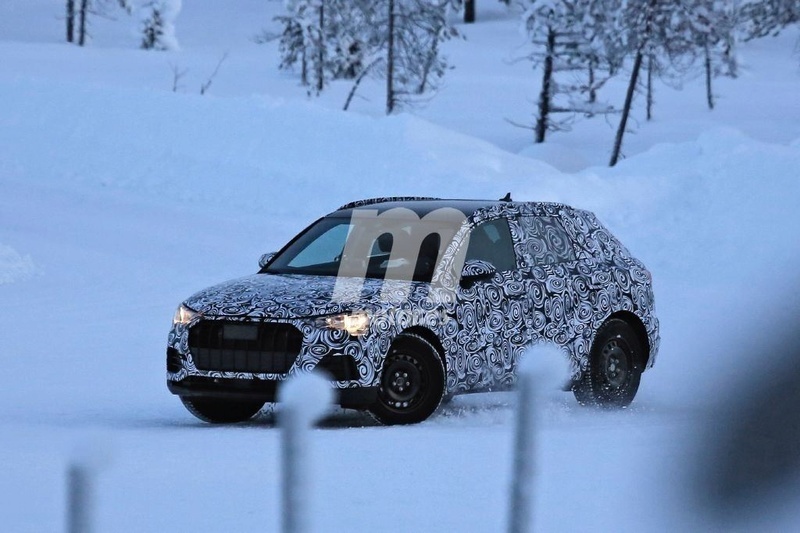 Audi is using the cold Scandinavian winter to test its second-generation Q3 in the run-up to the car's July 2018 sale date. 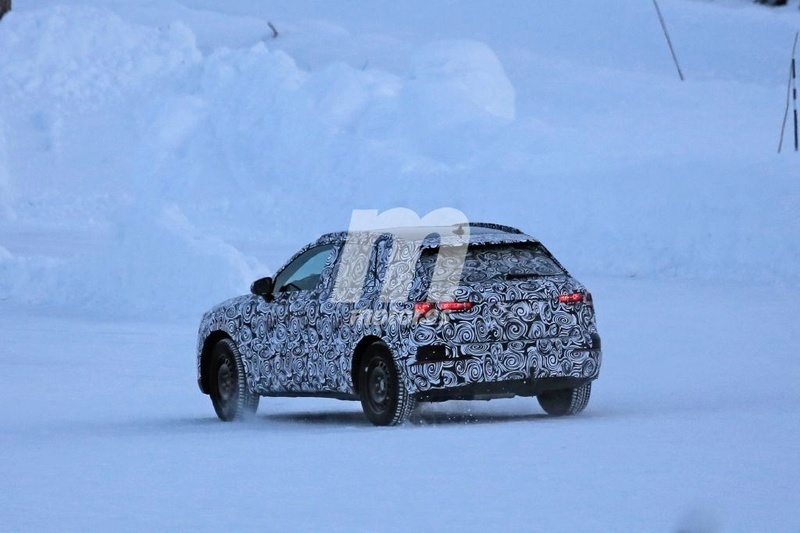 Ingolstadt has sent engineers to its north European base to examine the future BMW X1 and Volvo XC40 rival's new components in the Arctic Circle's extreme conditions. This has offered our photographers a chance to capture it out in the open, showing the model's sharpened-up design with thin camouflaging. 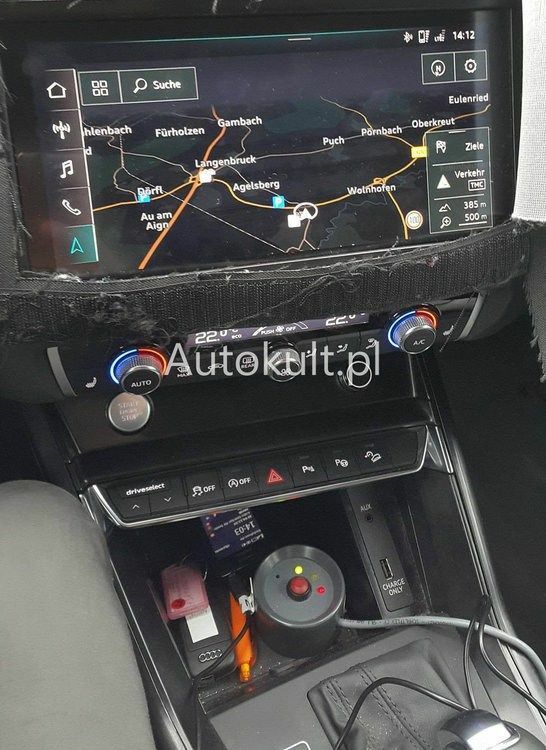 Sporting new underpinnings, a roomier interior and contemporary electric architecture supporting many of Audi’s latest driver assistant systems, the new Q3 has been comprehensively re-engineered in a joint Volkswagen Group programme also encompassing the latest VW Tiguan, newSkoda Kodiaq and new Seat Ateca, among other upcoming models. 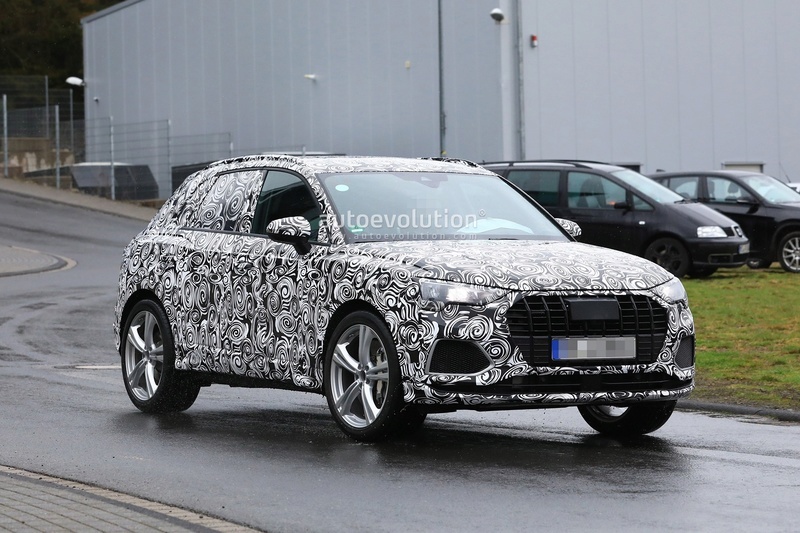 Dimensionally, the new Q3 has grown in order to distance itself from its cheaper sibling, the Q2. Nothing is official yet, although sources suggest its length extends to around 4450mm and width beyond 1860mm - increases of 60mm and 30mm respectively. By comparison, the Q2 measures 4190mm in length and 1790mm in width, while the recently launched second-generation Q5 runs to 4660mm in length and 1890mm in width. 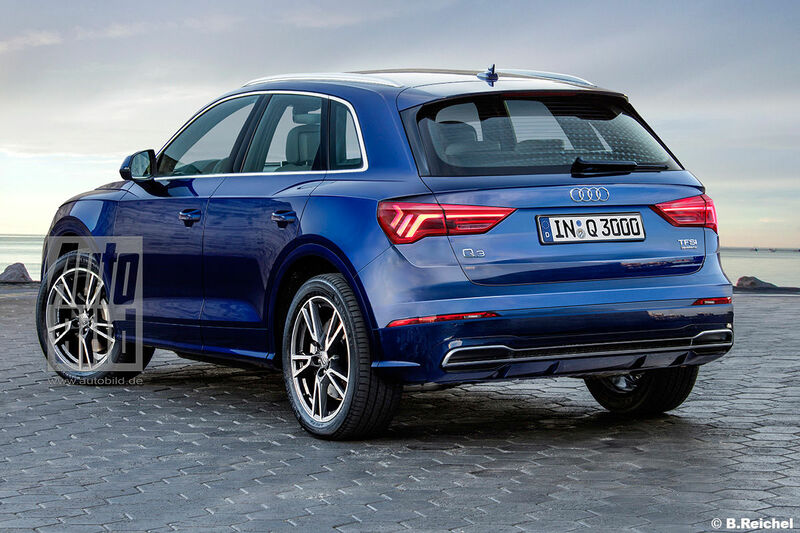 Based on VW Group’s widely used MQB (Modularen Querbau – modular transverse) platform architecture, the new Q3 is claimed to have shed up to 50kg over today’s model, which sits on older PQ35 underpinnings dating back to the second-generation A3 launched in 2003. 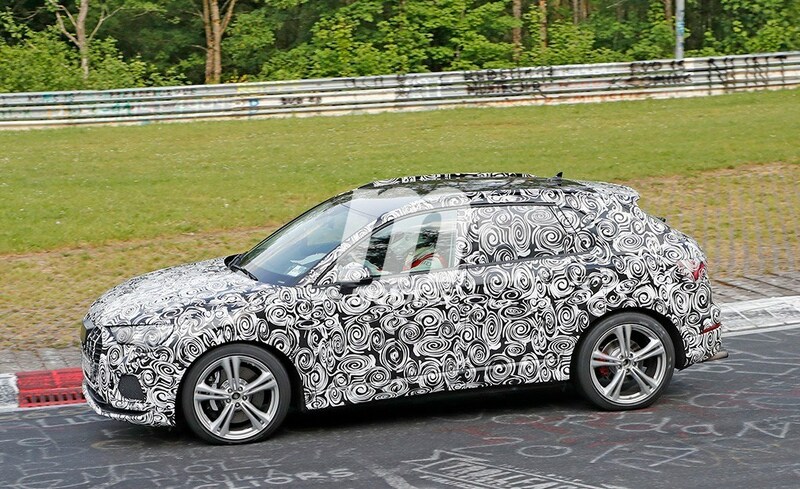 This should bring the planned front-wheel-drive entry-level model, which is set to use a 1280bhp 1.5-litre four-cylinder petrol engine, down to less than 1350kg despite the increase in size. As well as being lighter, the MQB architecture also provides the new Q3 with added structural integrity. Insiders cite a significant improvement in both static and dynamic rigidity as being crucial to enhancements in the isolation of vibrations while contributing to lower overall noise levels – factors that promise to make it a more adept long-distance proposition. The car receives more distinctive styling than today’s six-year-old model, with a prominent eight-corner single-frame grille, thin angular headlights with LED graphics and a heavily structured bumper assembly dominating its front end. Further back, there are larger wheelhouses, a more pronounced wheel arch flaring, door-mounted mirrors and a more defined shoulder line along the flanks. A longer wheelbase, which is said to have grown by 50mm to 2650mm, also sees the adoption of slightly longer doors. 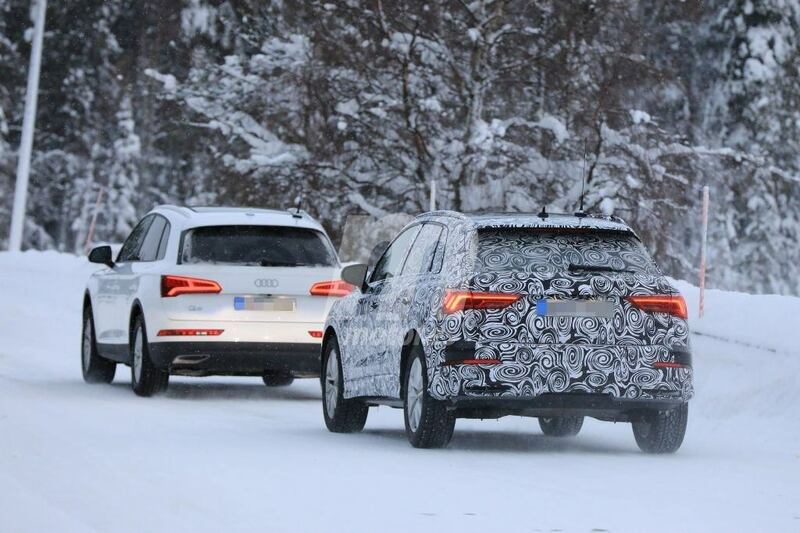 At the rear, the new Q3 appears to eschew the clamshell-style tailgate for a simpler (and cheaper to produce) aperture. 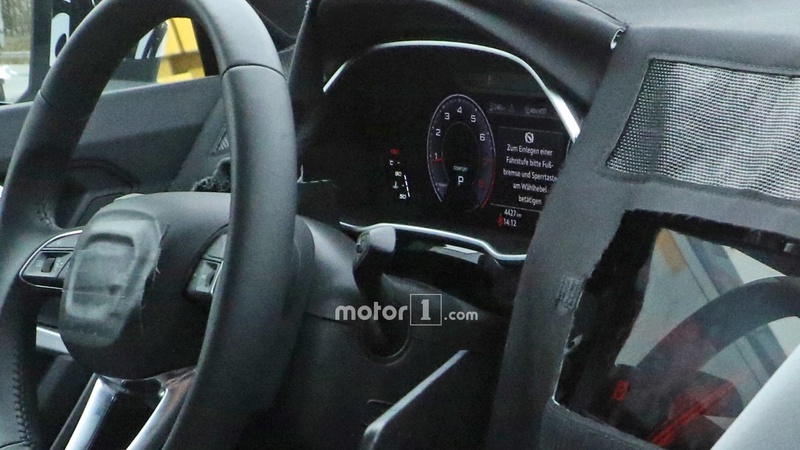 Inside, the 2018 Q3 receives a newly designed interior with a dashboard heavily influenced by that already seen in the latest A3. With a longer wheelbase liberating rear seat leg room and added width providing greater front and rear shoulder room, the car is described as being significantly more spacious than its predecessor. A slightly longer rear overhang is also claimed to provide an added 20 litres of luggage capacity to reach 440 litres. 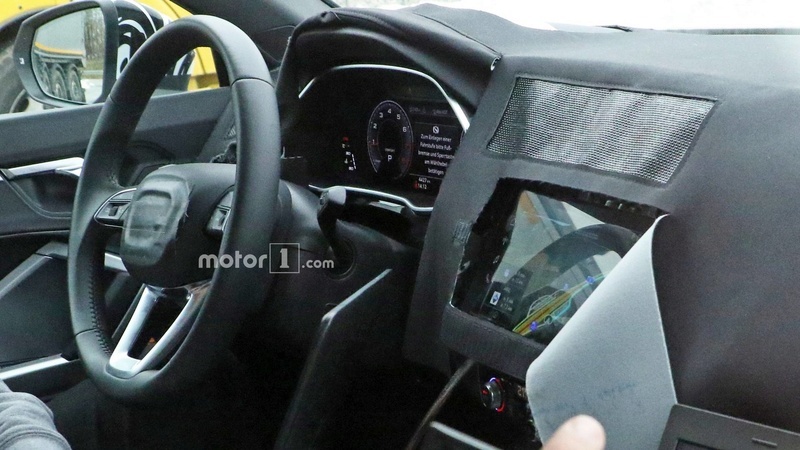 Among the more upmarket features available for the new Q3 will be Audi’s Vitual Cockpit display with HD graphics, a head-up display unit, a 9.2in touchscreen infotainment system, inductive smartphone charging and a full suite of connectivity functions supporting Apple CarPlay and Android Auto. 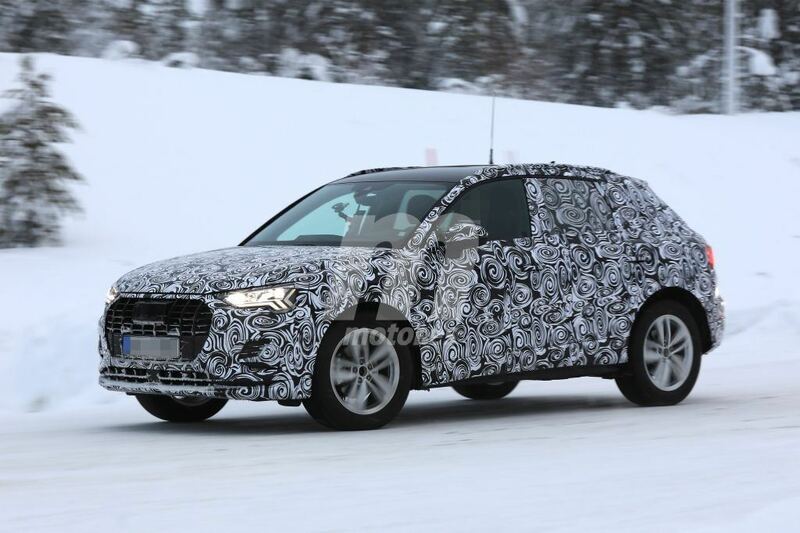 The new Q3 will offer a variety of driveline combinations, including front-wheel and four-wheel drive in combination with either a six-speed manual or seven-speed automatic dual-clutch gearbox. 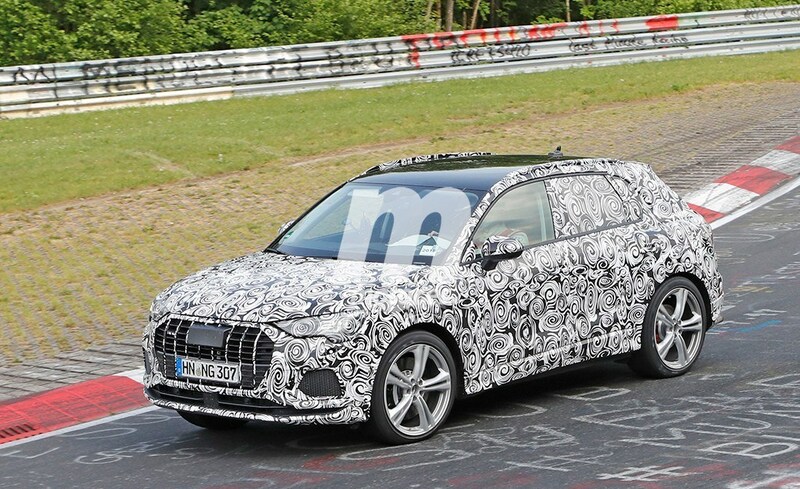 The headline engine will be Audi’s recently revamped turbocharged 2.5-litre five-cylinder petrol unit developing up to 395bhp. It will be supported by an S model running a detuned version of the same engine at around 335bhp. 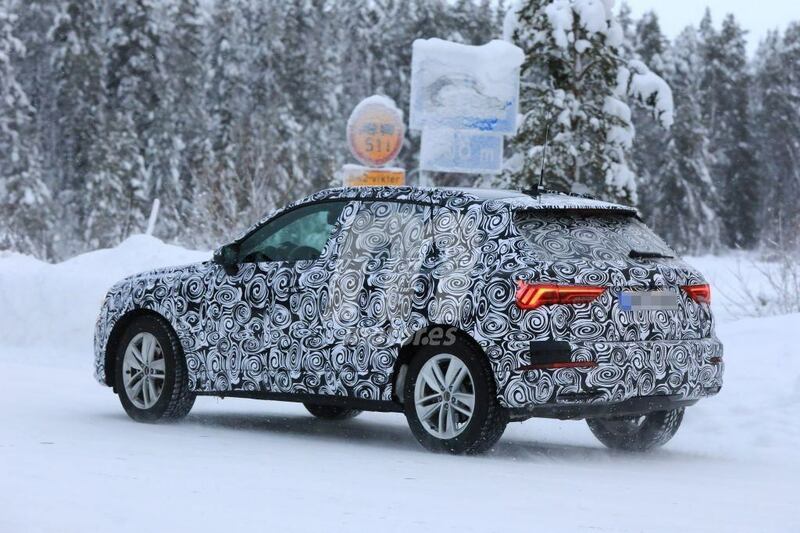 Other petrol engines will include a new turbocharged 1.5-litre four-cylinder unit. 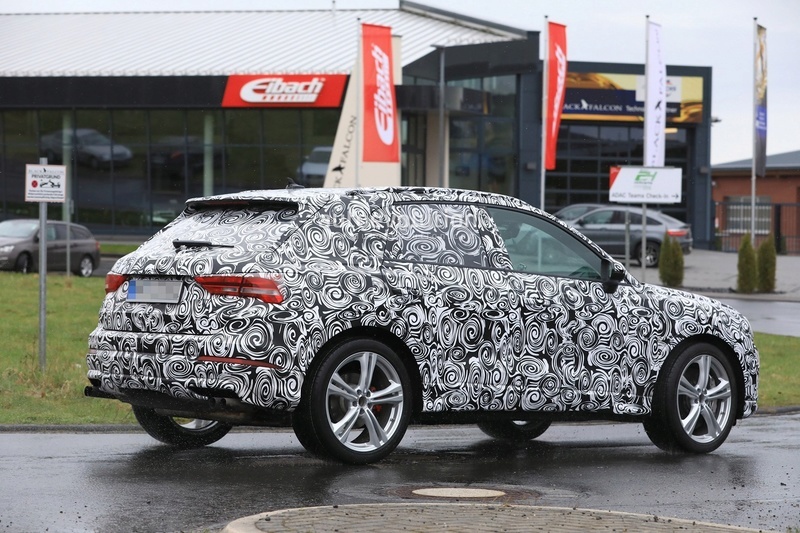 It joins the Q3 line-up as a replacement for the turbocharged 1.4-litre four-cylinder engine, likely offering two states of tune at 128bhp and 148bhp. Also planned, although not expected to feature in every market, is an updated version of Audi’s turbocharged 2.0-litre four-cylinder engine delivering 248bhp. 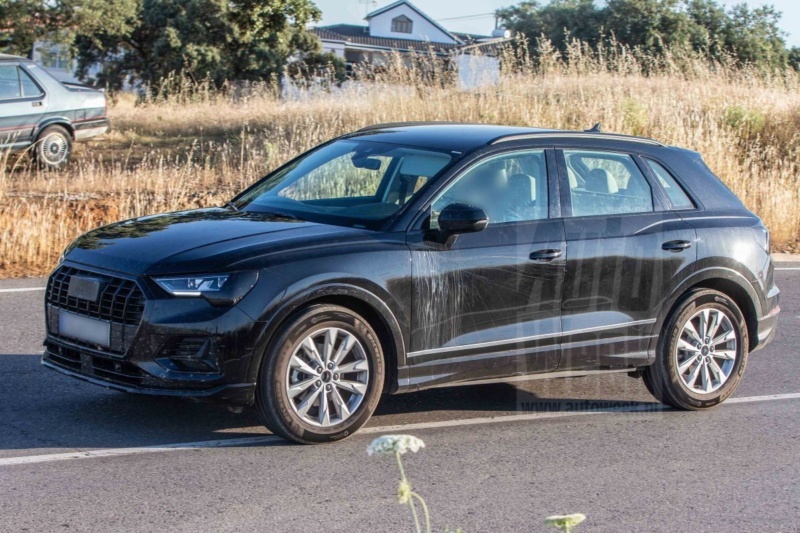 Despite the uncertainty surrounding the future of diesel, Audi is sticking to plans to launch the new Q3 with a turbocharged 2.0-litre four-cylinder common rail engine in up to three states of tune: 148bhp, 187bhp and 237bhp. All will feature a SCR filter and AdBlue injection for Euro 6 emission compatibility. 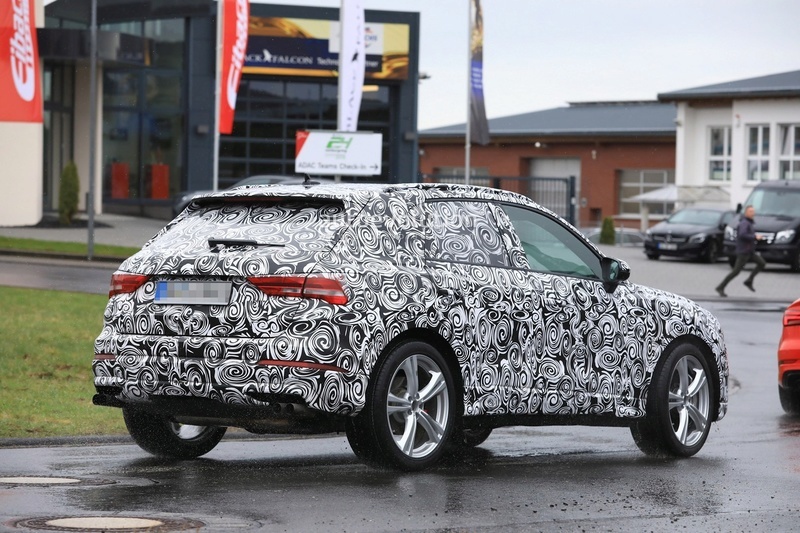 Also under development, though unlikely to be seen at launch, is a plug-in hybrid version that will combine the turbocharged 1.5-litre four-cylinder petrol engine with an electric motor. It will be an updated version of VW Group’s modular plug-in hybrid system, which is claimed to provide a combined output of more than 200bhp and an electric range of up to 31 miles at a speed of up to 81mph. 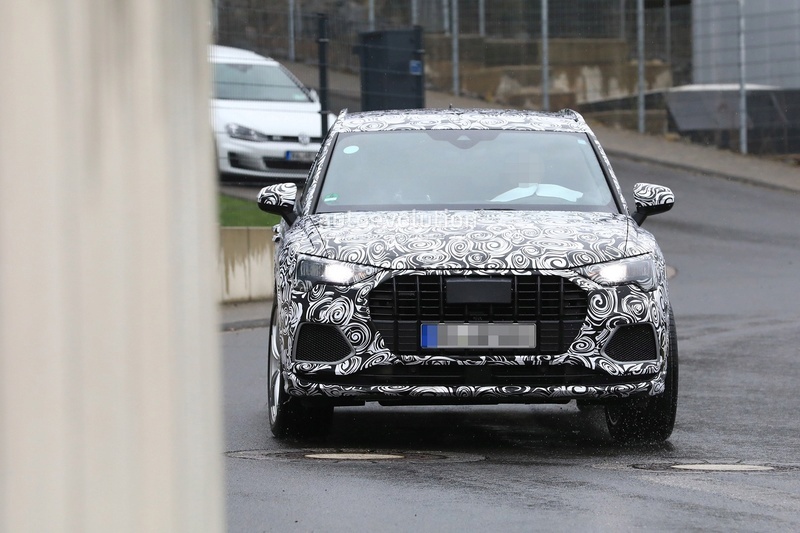 Ingolstadt sources involved in the engineering of the new car also confirm that Audi is working on a pure electric version of the second-generation Q3 as part of plans to meet China’s new energy vehicle regulations. 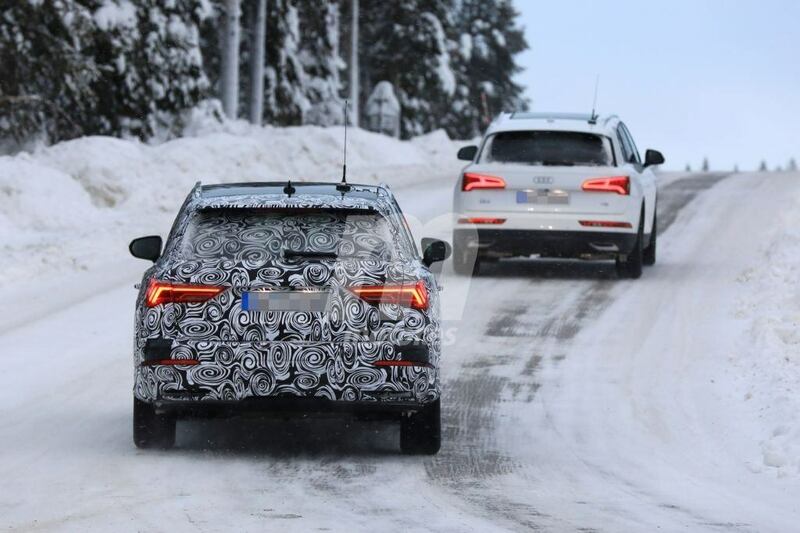 The secret front-wheel-drive Q3 e-tron, conceived to compete againstBMW and Brilliance’s Zinoro 60H, is likely to run a similar driveline system to the VW e-Golf, with a 134bhp electric motor and 35.8kWh lithium-ion battery providing an all-electric range of up to 186 miles between recharging. Qualche notizia sulla nuova Q3. Secondo Autocar le vendite inizieranno a luglio. Ci sarà un ibrido a benzina 1.5 da 200 cv complessivamente. La lunghezza aumenterà di 8 cm. Ci saranno le versioni S e RS. Si vedono bene i fari posteriori e anteriori. Lo si nota superandolo in autostrada....di tutt'altra classe nuovo xc60 peccato quei fari posteriori...a farli "banali" ci avrebbe guadagnato. De gustibus. Io personalmente trovo la Q5 riuscita, molto banale ma risucita. Quando penso alla definizione “tazza da cesso” penso subito a Lancia Y, non alla Q5. 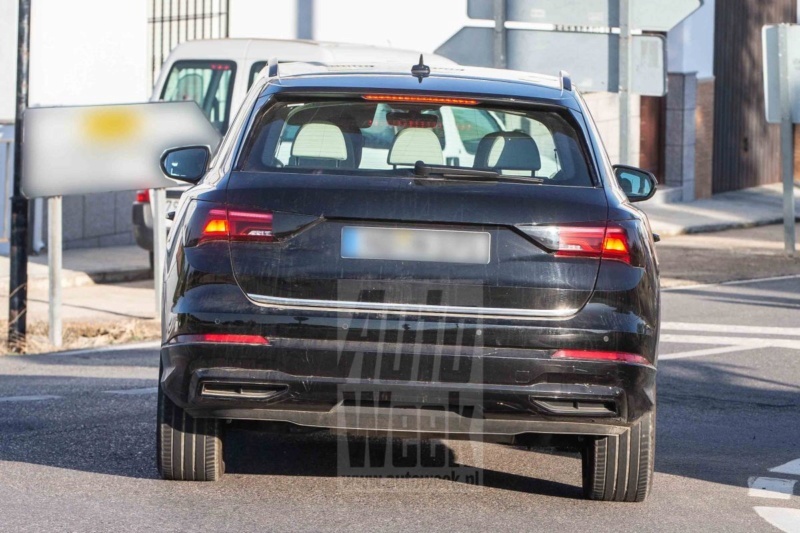 Vedremo la nuova Q3; l’attuale Tiguan è per me piuttosto noiosa, vende a tonnellate comunque. La nuova Q5 l'ha appena presa il mio amico commercialista dopo la A5 e la vecchia Q5. La fiancata ha quella scalfatura orribile e un rapporto fra lamiere e vetri abbastanza sbagliato. Il muso è quello della Q3 trapiantato. Il problema secondo me sta proprio in quel rapporto vetro/lamiera e nell'angolo parabrezza cofano...mi ripeto l'auto non è una tazza del cesso:-) ma lo è secondo me il cofano. Con q8 sembra che invertiranno la rotta come design...vendite di q5 penso bene ma non so. Trovo interessanti sia i led anteriori che quelli posteriori. 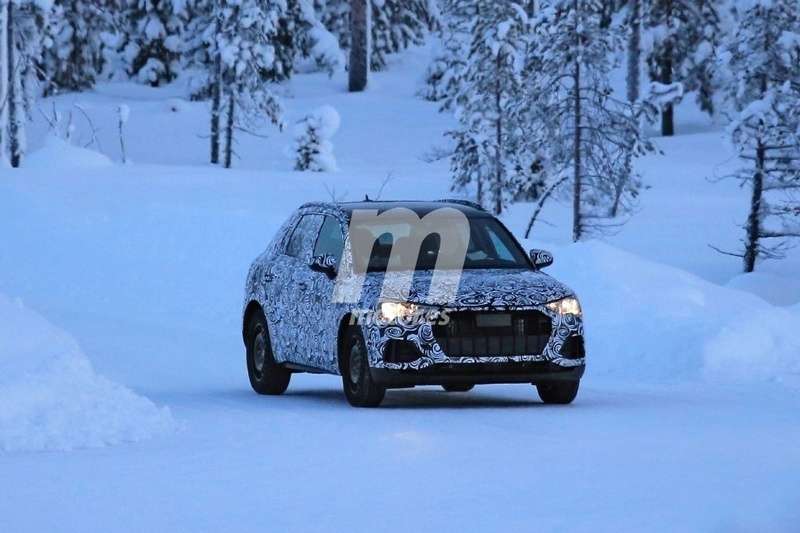 The Audi Q3 is to get an all-electric e-tron sister vehicle by 2021, Audi bosses have confirmed to Auto Express. 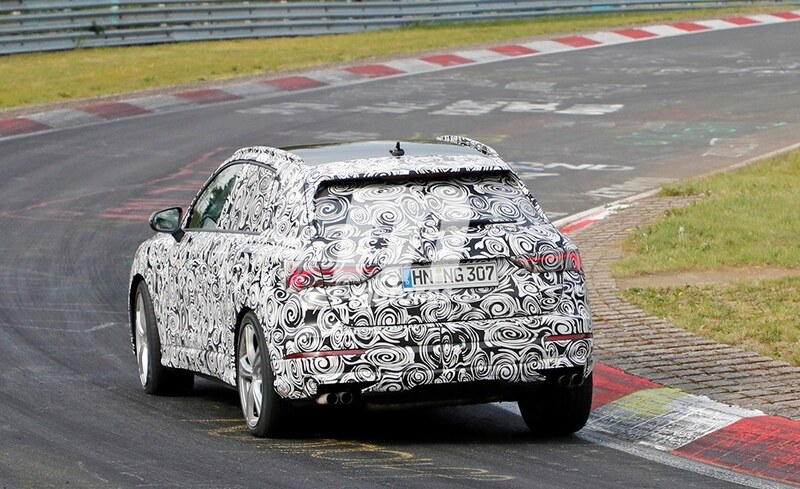 The new electric SUV will join the forthcoming e-tron, e-tron Sportback and e-tron GT, to make four all-new Audi EVs. 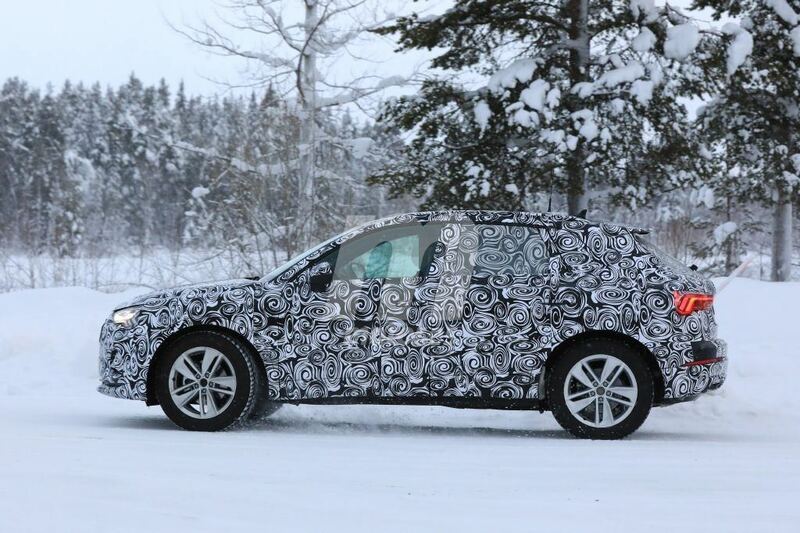 The final car is expected to be a China-only SUV built as a joint venture with SAIC. It’ll be assembled in Southern China and is unlikely to be exported, at least for the time being. 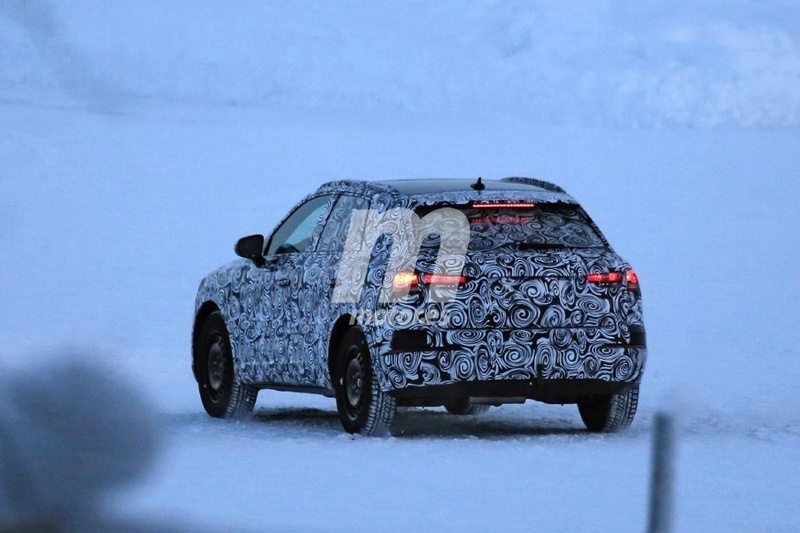 This suggests the new e-tron crossover will go head to head with the forthcoming all-electric Volvo XC40. 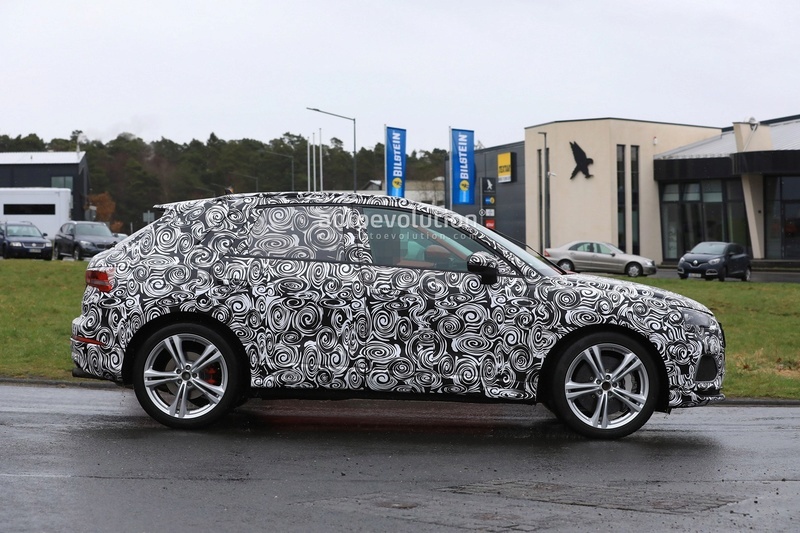 Audi may also want to steal customers from the slightly larger BMW iX3, which is due before the end of the decade. 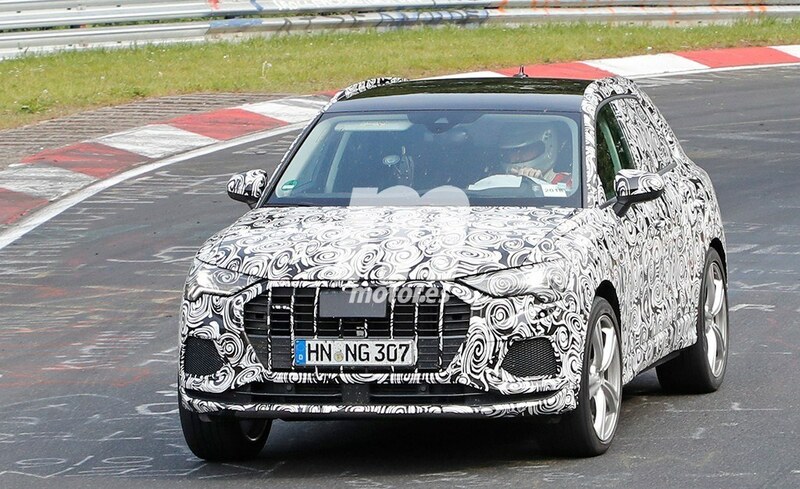 While he wouldn’t confirm any specific design details, Glaser did insist the new model would be recognisable alongside the Audi’s current cars, and indeed the upcoming e-tron variants. 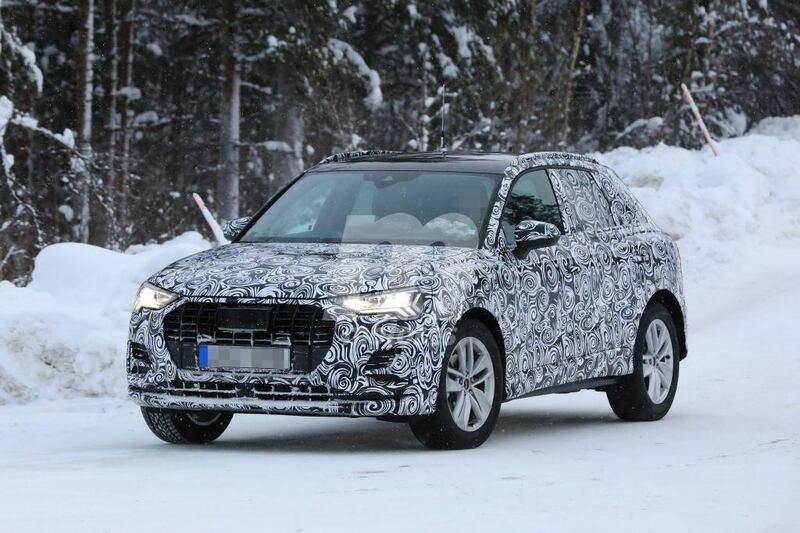 The proliferation of all-electric e-tron models means Audi will need to reassess its nomenclature to differentiate its EVs from PHEVs and mild-hybrid vehicles. 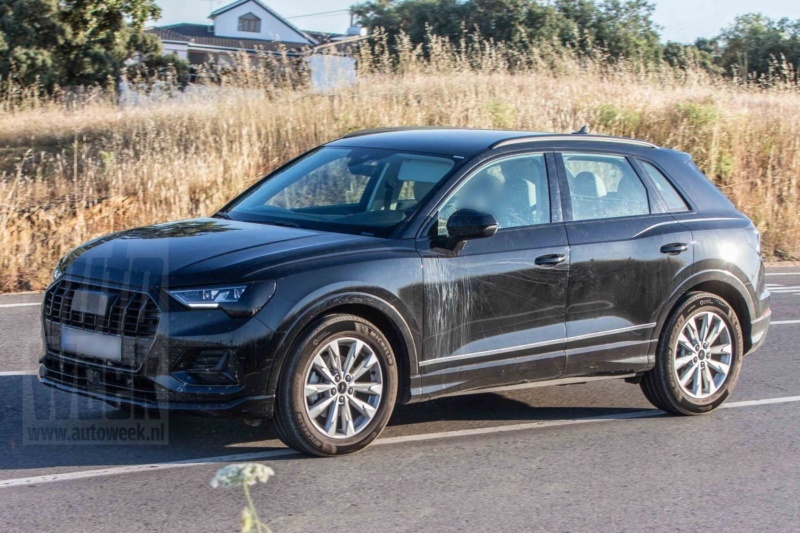 Whether that means cars like the diesel-electric plug-in Q7 e-tron will drop its existing badging in favour of a new model code is unclear, but Glaser admitted something needed to be done. 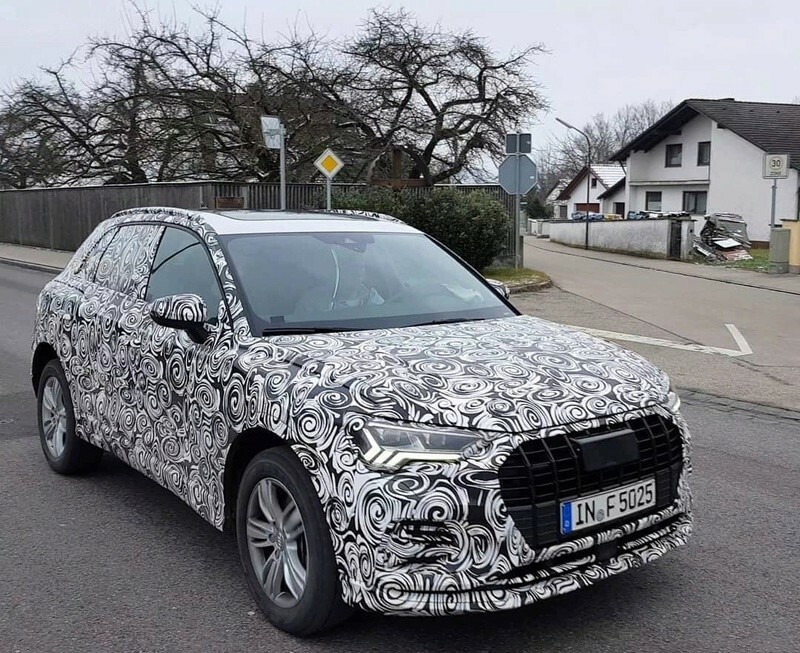 The e-tron and e-tron Sportback are larger than the Q3 crossover and will likely utilise a tweaked version of the MLB architecture that underpins the latest Audi A8. The e-tron Gran Turismo will be based on the same platform as the upcoming Porsche Mission E.
It’s too early to say what base Audi-SAIC’s joint venture SUV will use, though given the Chinese firm’s ever-swelling expertise, it could choose to employ something totally bespoke. 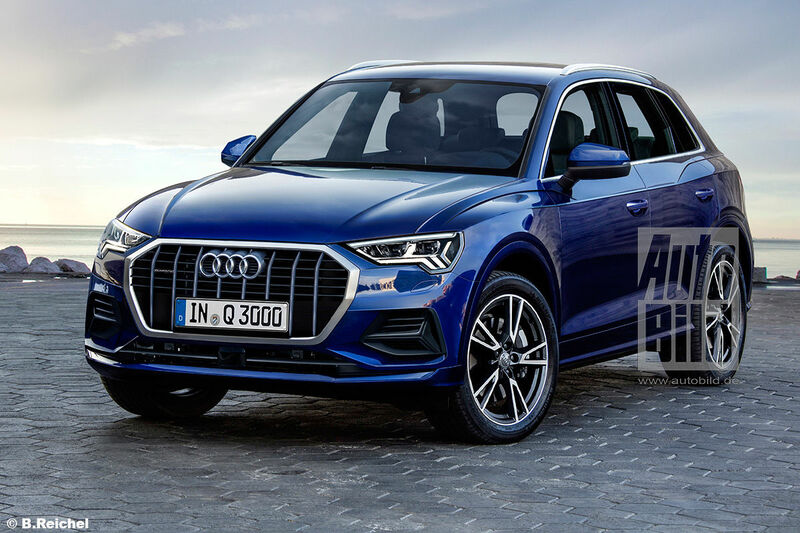 Audi ha annunciato una variante elettrica della Q3 che inizialmente sarà esclusivamente venduta in Cina. È un modello completamente nuovo perché la Q3 del 2011 fu l’ultimo modello del gruppo Vw ad essere basato sul PQ35, la nuova generazione sarà su MQB. Direi di aspettare le foto ufficiali per giudicare. 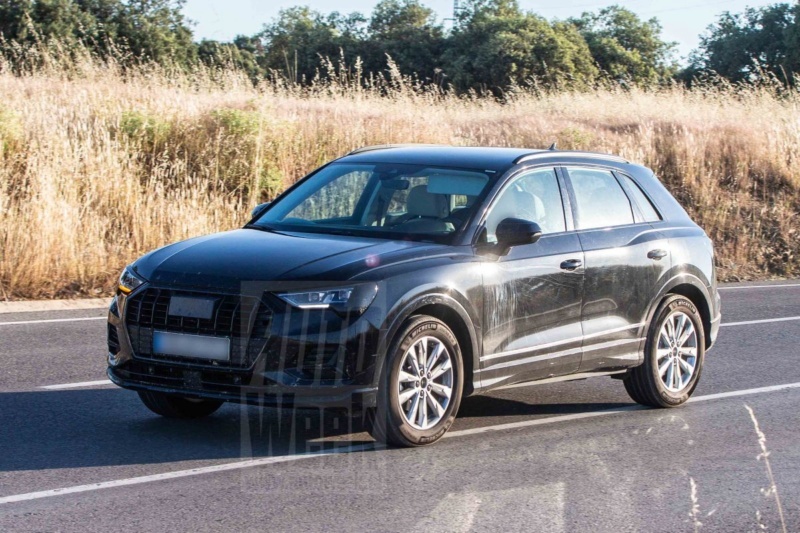 Se prendiamo come parametro le seconde generazioni di Q7 e Q5 sembrerebbe che Audi si sia sforzata di più con questa Q3 ( nuova calandra, fiancata, posteriore meno inclinato). Anche perchè questa è una omotetia della Q5. 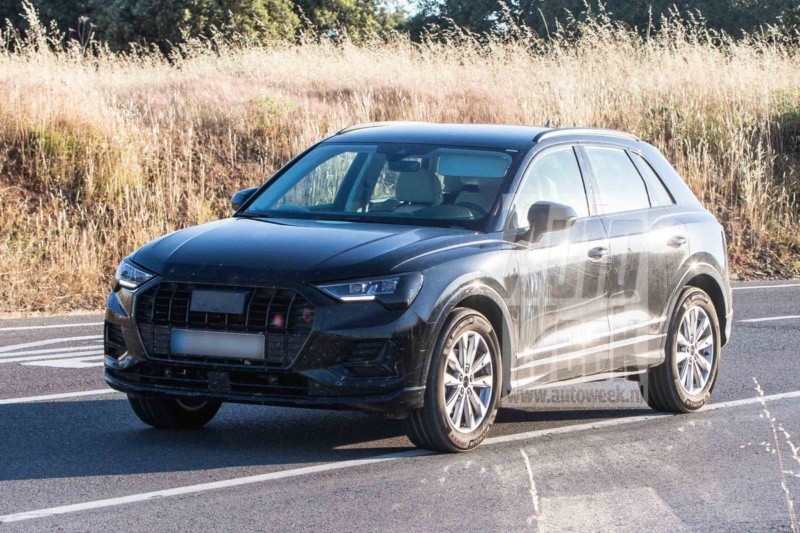 Sicuramente rispetto all'attuale più simile a Tiguan/q5 nel posteriore meno fastback per far poi posto alla q4. Attuale Q3 vende ancora bene nonostante gli anni e l'interno old style, questa sicuro farà anche meglio, penso sostituendo per molti a4 come già capita per tiguan. 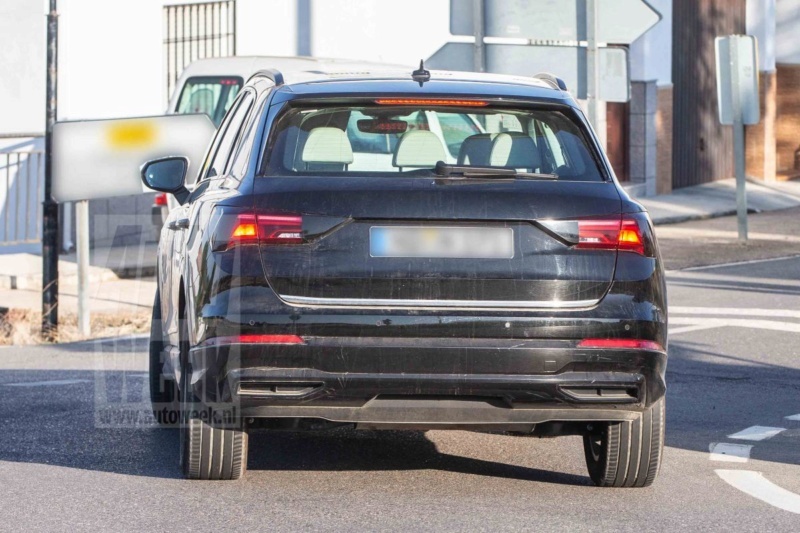 Ormai le d premiumm non SUV calano così tanto che vendono quasi come le è premiumm non SUV. L’interno è la versione impoverita di quello della A8. Fa sembrare vecchia di colpo dentro e in parte fuori la già non fortunatissima q5. Quando parli di restyling pesante di a4 , quindi anche a5 e q5,ensoendi una plancia simile. Questa sbanca come il Tiguan. 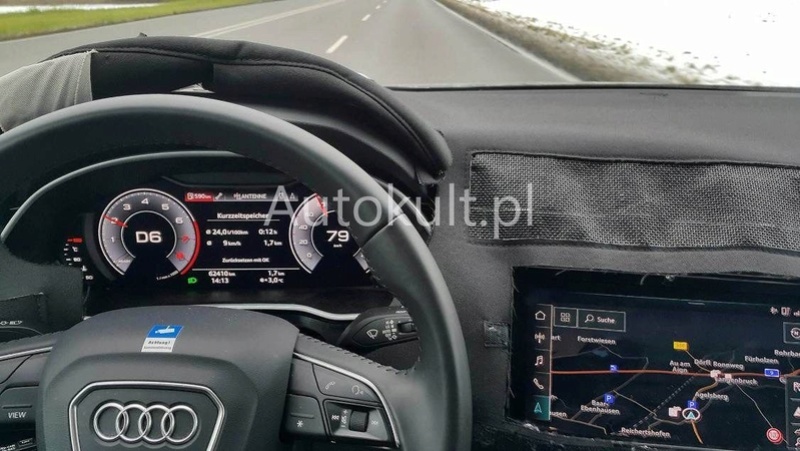 Automobilwoche e Handelsblatt hanno parlato di interventi pesanti sulla A4 per il restyling, non so se questo discorso vale anche per gli interni. 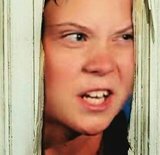 Il Q3 attuale fa schifo, questo invece sembra una copia migliorata del Q5...non male direi! OT: ieri, passegiando per le vie di Milano, ho notato un'A4 avant ferma in coda e mi sono chiesto quali problemi possano affliggere una persona che compera un'auto così insipida e già vecchia(sembra uscita da 5 anni) a botte da 40/50k Euro!!! 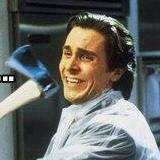 Ormai poche camuffature. Verrà svelata il 20.7.